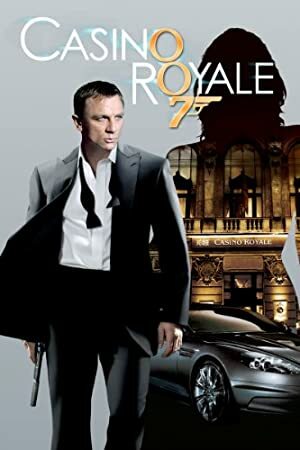 The 2006 movie Casino Royale was widely hailed as a better, much more modern take on James Bond – now played by Daniel Craig. 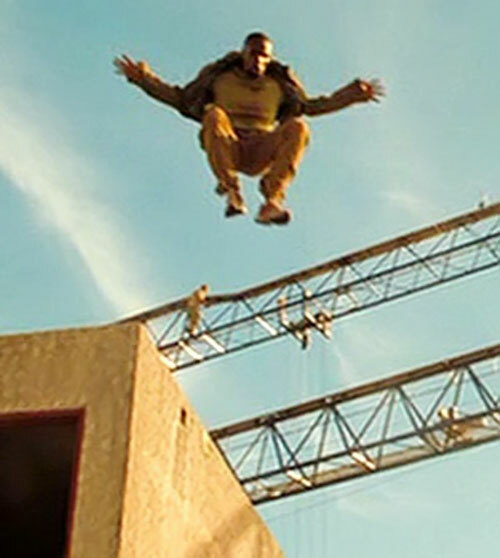 Its intro sequence featured the athletic talents of Sébastien Foucan, one of the founders of parkour urban acrobatics. Since I grew up in the birthplace of parkour, I kinda have to write his character up. Another founder of the discipline, David Belle, also has an entry for his Leito character in District B13 and Brick Mansions. Group Affiliation: Employee of the Nambutu Embassy. Base Of Operations: Likely mobile throughout Africa and the Middle East. Mollaka is a world-class parkour traceur, running exceptionally fast. His parkour skills make it easy to lose almost any pursuer. 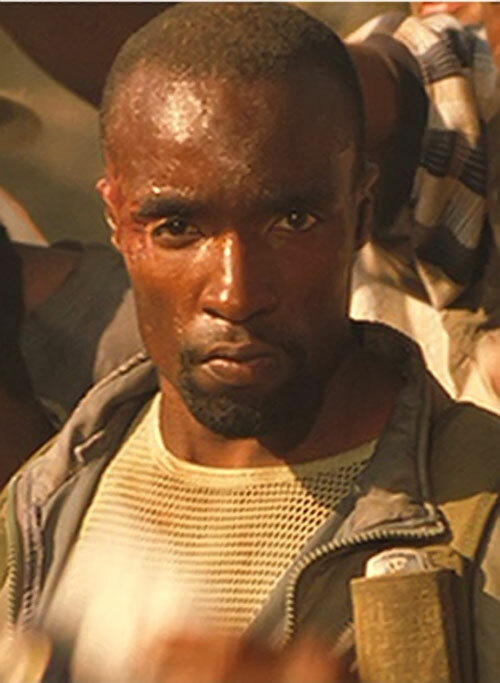 He also has assorted agent skills such as martial arts, bomb-making, gunfighting, etc. Mollaka (first name unknown) is encountered in Madagascar. 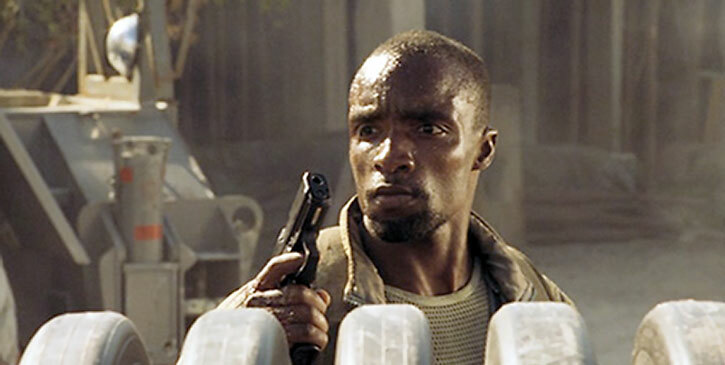 He is being shadowed by Bond and his co-agent Carter at a mongoose/cobra fight at an abandoned hotel. Due to a foolish mistake made by Carter Mollaka catches on. 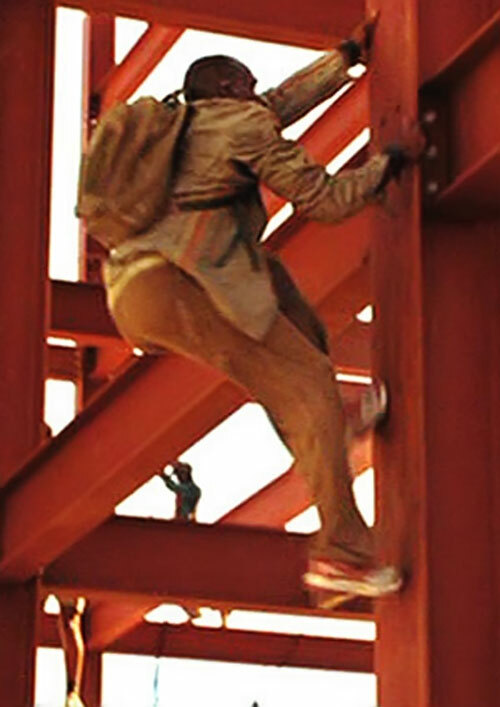 He leads Bond on a high speed footchase through the jungle and through a construction site. He reaches the Nambutu Embassy, where he works as an employee. Bond follows him into the embassy where he incapacitates him and attempts to take him into custody. Bond finds himself surrounded by Nambutu troops. 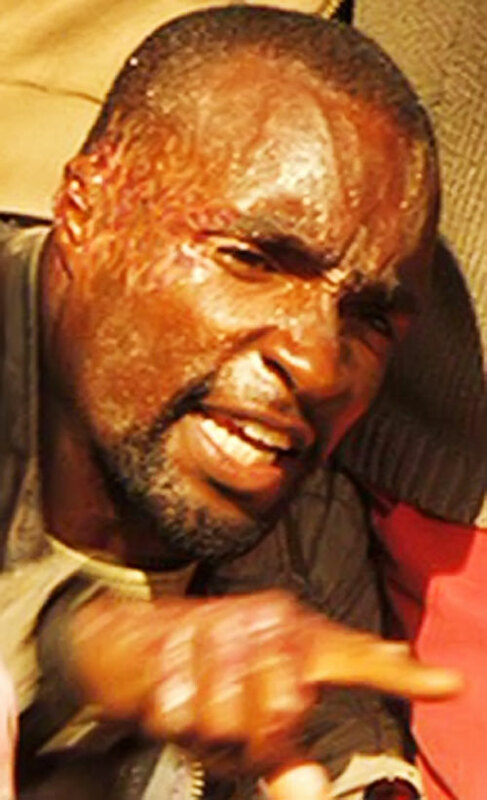 He is forced to kill Mollaka by shooting him in the chest and escaping under the cover of an explosion. The sequence thus ends in failure, since the British agents were attempting to get intelligence out of Mollaka by either shadowing him or taking him alive. 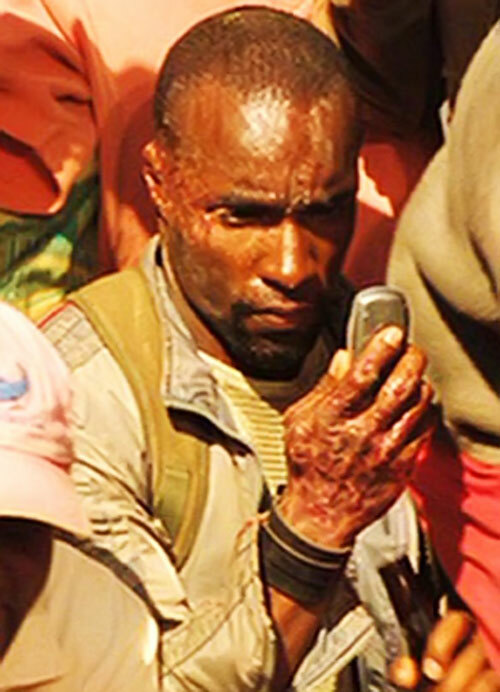 Mollaka has extensive scarring on his hands and the side of his face, the marks of an explosive that detonated prematurely. A short documentary about Seb’s sequence in Casino Royale. Mollaka may be highly acrobatic, but he also seems cautious and to live on the edge. If something looks wrong he’ll assume several armed men are out to get him and do his — considerable — best to lose them. Running is a Skilled Power. Area Knowledge (wherever he’s currently operating), Language (French), Lightning Reflexes. Mercenary underworld (Low), Nambutu diplomats (Low). Creepy Appearance (Widespread scarring on face, scalp and hands). H&K USP Compact .40 [BODY 03, Projectile weapons: 04, Ammo: 12, R#02], a cell phone and quite possibly the bomb he’s been working on. While his Running Power does not usually help him it can, as a Power, be Pushed if Mollaka needs that extra bit of running speed. Like he did when Bond chased him with the Cat engine. Source of Character: James Bond Casino Royale movie (2006 version).